The new SmartHomePrice is light years ahead of anything else out there. SmartZip Analytics, Inc. (http://www.smartzip.com), the leader in predictive marketing technology for the real estate and related industries, has unveiled new and improved lead generation and follow-up tools for its existing SmartTargeting clients. The company’s seller-focused lead generation site, SmartHomePrice, has been fine-tuned to increase lead conversions among likely sellers. SmartZip has also partnered with Landvoice to give clients the ability to purchase phone number matching for leads that don’t provide full contact information. SmartHomePrice, which offers an automated home valuation to homeowners, has long been the most popular and effective lead generation website for SmartTargeting clients. 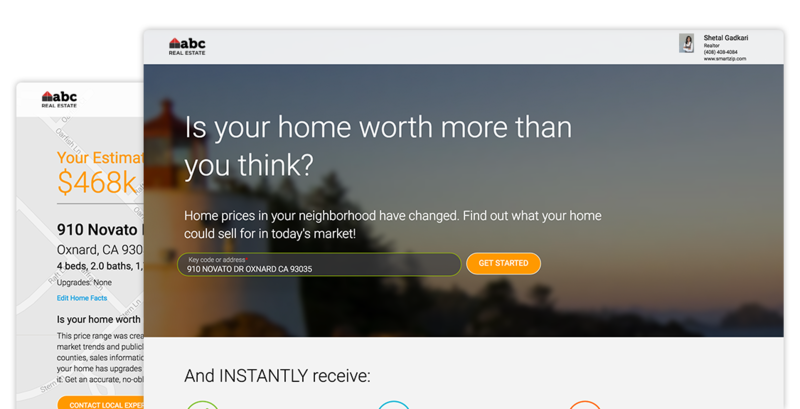 The revamped SmartHomePrice offer is expected to drive in even more seller leads while capturing better contact information and deep homeowner insights. "The new SmartHomePrice is light years ahead of anything else out there. While other automated valuation sites ask for contact information first, SmartHomePrice now allows homeowners to get community information and insights upfront,” said SmartTargeting client Gary Anderson. “As an agent, I believe in providing value before asking for anything, and I know this simple but straight-forward process will help me convert more often — while giving potential leads the information they truly want." In addition to the updated SmartHomePrice, the company has also unveiled Connect Plus, an upgrade that allows SmartTargeting clients to get matching phone numbers for likely sellers or leads who haven’t provided their full contact information. Connect Plus is powered by Landvoice, the leader in contact matching for the real estate industry. SmartZip Analytics is a national leader in predictive marketing solutions for real estate and related industries. Using patent-pending home intelligence, predictive analytics and automated marketing campaigns, SmartZip’s SmartTargeting platform offers an integrated solution that can identify top prospects accurately, and engage them through targeted online and offline marketing channels. Leading national real estate companies, including realtor.com, Homes.com, ZipRealty.com, HomeSnap, RealtyStore.com and others rely on SmartZip’s best-of-breed analytics for their online businesses.